Mister Donut has a billboard with this image: a young girl who appears to be waxing corpulent, is about to stuff her face with donut holes. She beams in gap-toothed anticipation while her proud father watches. 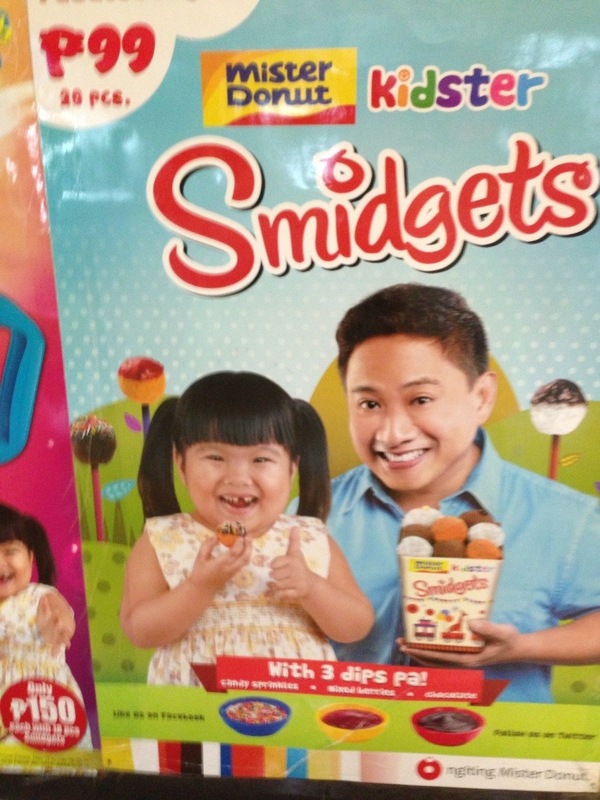 So drop a few pesos on Smidgets — such a tiny-sounding name, surely they can’t contain many calories each — and your little girl too can be happy, pudgy, and missing a tooth or two. I just can’t picture this ad in the United States. There’s something uniquely Filipino about its humor. This entry was posted in It's Another World and tagged Mister donut, Smidgets.